Ever wondered how to start a flash mob? When you've done as many surprise performances as we have, you start to build up a LIBRARY of creative ways to start them off in your head. I've come up with some of these, my dancers others - but we love it the most when a client gets creative and suggests a unique way to begin one of our flash mobs. Here are just a few recent and most popular ideas here, for you to have a think about for your next event! 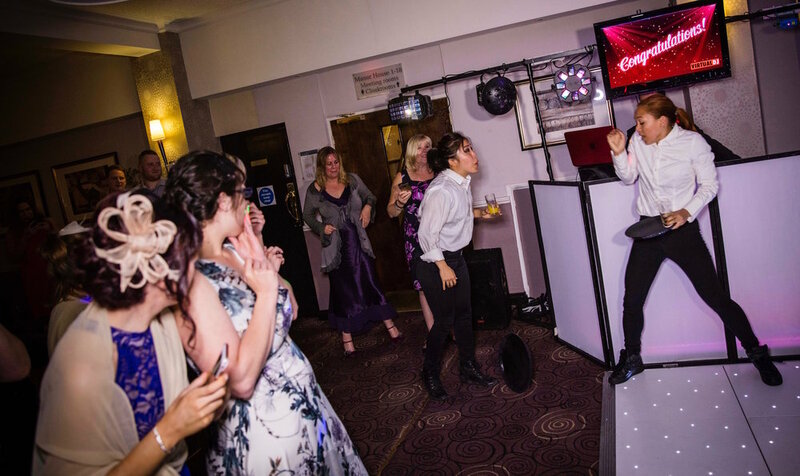 At many a wedding, our dancing waiters are tasked by the bride and groom to take the focus off their first dance. In this wicked beginning, we wait until the happy couple have been dancing a minute or two, then one of our waiters asks to 'cut in' to dance with the bride. His fellow waitress, who reveals herself as actually his girlfriend, goes a little jealous-crazy over this...to which they then apologise for their behaviour to the crowd, the music starts, and they begin to dance! We can tailor our birthday surprises for kids too! A lovely way we've started birthday flash mobs in the past is for a single dancer to approach the birthday girl or guy in the street and give them a bunch of balloons - they are delighted and perplexed, and when we mention we have something else for them too, the music starts and the other dancers pop out of nowhere! We've even done this once with a load of surprise dancers bringing the birthday guy a different coloured balloon each - visually stunning, and a great memory and gift. After a 50th birthday flash mob on London's Southbank! Romance isn't dead if Club Mob has anything to do with it! We've timed a proposal flash mob to start exactly when the couple walk past in the street, when they hear a busker singing their 'song'. They stop to listen, as do some others - then one by one, members of the crowd join in with the song, harmonising beautifully, and a violinist pops out of nowhere...this idea works best with our new singing team but can also work with a more upbeat number and some dancers! Devised by an amazingly creative client who wanted to propose in a very unique way, we had the restaurant print special dessert menus that had an extra on them - 'Beneath Your Beautiful.' 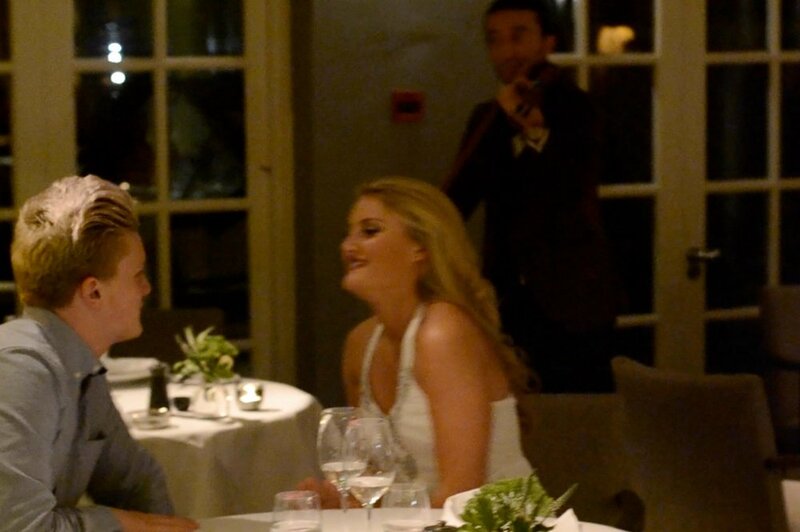 She noticed the additional 'dessert' straight away - when she ordered it, the music began from a hidden speaker, the waiters got out microphones to sing the duet, and a couple eating next to them started a beautiful contemporary dance routine. Stunning! Watch it here. A variation on the drinks spillage, this takes the shock to new heights! We've worked with CEOs so that during their big speech, they go to make a 'toast' and ask the waiting staff for a glass of wine. Two rush on to deliver it, collide and the spectacular spillage and argument ensues, in front of the whole wide-eyed crowd! We've even done this at a wedding where the father of the bride (in on the surprise) announced that he had been saving a bottle of wine for 30 years to open on this day...imagine the guests horror when that glass of wine is chucked all over the place! But the horror is replaced by relief and amazement when we reveal ourselves...a winning contrast! A brilliant ruse for a corporate or birthday event where there is a DJ and tech team - a 'singer' is welcomed to the stage and begins, but her music keeps going wrong and messing up, much to everyone's embarrassment. A few tech guys go on to help...but then a completely different song starts, and they all kick into a perfectly synchronised routine, joined later by some of the guests at the party! Hope this gives you some ideas of how we can make your wedding, birthday or corporate event really stand out! If you've got an idea in mind you want to discuss, drop us a line on our contact page. There's nothing we like more than getting creative with our surprises!